To add to the list of why I love the East Coast so much, I love chowdah! Although I usually eat clam chowder, I decided to mix it up for a change. 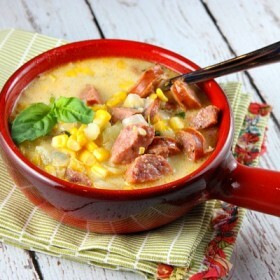 Today I made Sausage and Corn Chowder. Believe me, it was wicked awesome! The chowder itself was a work of art and so easy to make! We didn’t do hardly any prepping before this picture! 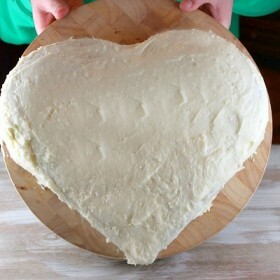 And if you can even imagine this… it tastes even better than it looks! I cut the sausage and the onions and browned them in the pot. They made the soup pretty flavorful. Later I added the spices, potatoes, corn, water and milk. This recipe was pretty basic. 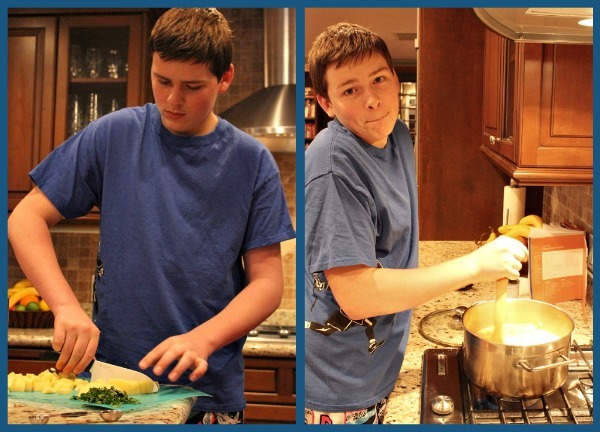 And even a kid can make a soup that is the bomb.com… Like Me! Just a really easy, delicious soup recipe! 1. In a large soup pot, brown the sausage and onion over medium heat. Add the water, potatoes, parsley, basil, salt and pepper. Bring to a boil. Reduce heat to simmer, cover and cook for about 15 minutes, or until the potatoes are tender. 2. Add the corn and milk, and heat through about 5 minutes. 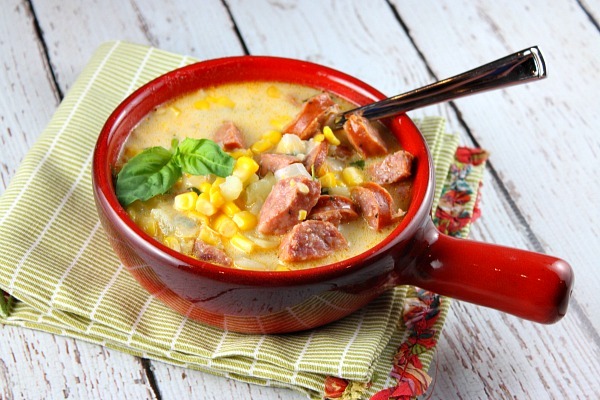 I love corn chowder, and this recipe adds the meat my hubby requires – lookin’ good! This sounds and looks delicious! 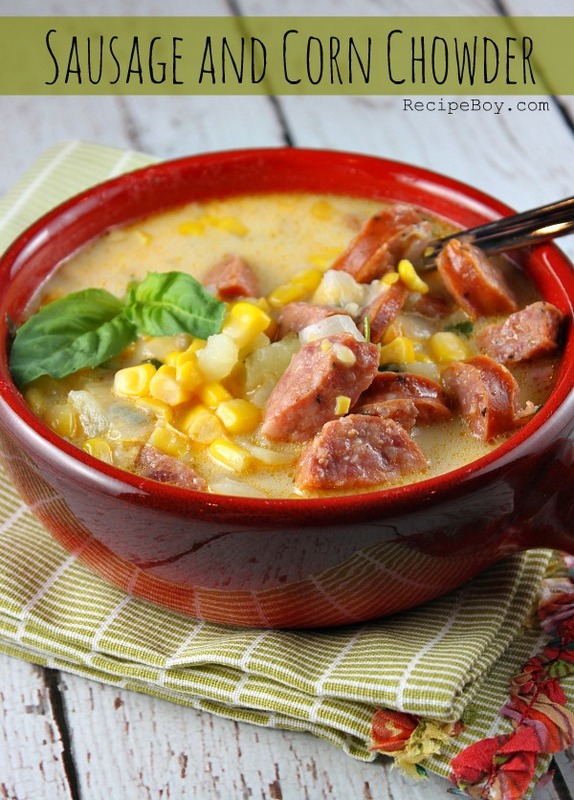 I love chowders and soups, and this one is going on my ‘to make soon’ list! Thanks, Brooks! This looks DIVINE! Can’t wait to try it next week when our rain is due back! Cooked this for my family tonight and it was OMG Amazing and they loved it. Thanks for sharing such an awesome recipe!! oh my goodness this looks delicious!! i must try this. Wow, this really looks good. You can definitely make it for me somtime. In the meantime I might just make it for myself! It definitely was the bomb, as the friend visiting from SanDiego. Way to go Brooks. Its a world record winning chowder. I made this yesterday and it was crazy good. It is even better today! Not often a chowder tastes this good without cooking all day. You are on a roll, Brooks! 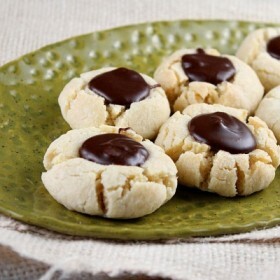 I have tried many of your recipes of yours and there wasn’t a stinker in the bunch!